David Mitzi received his B.S. in Electrical Engineering and Engineering Physics from Princeton University in 1985 and his Ph.D. in Applied Physics from Stanford University in 1990. 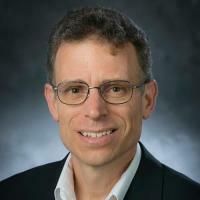 Prior to joining the faculty at Duke in 2014, Dr. Mitzi spent 23 years at IBM’s T.J. Watson Research Center, where his focus was on the search for and application of new electronic materials, including organic-inorganic hybrids and inorganic materials for photovoltaic, LED, transistor and memory applications. For his final five years at IBM, he served as manager for the Photovoltaic Science and Technology Department, where he initiated and managed a multi-company program to develop a low-cost, high-throughput approach to deposit thin-film chalcogenide-based absorber layers for high-efficiency solar cells. Dr. Mitzi’s current research interests involve making emerging photovoltaic materials more effective, cost-efficient and competitive for the energy market. He holds a number of patents, and has authored or coauthored more than 200 papers and book chapters. Making emerging photovoltaic materials more effective, cost-efficient and competitive for the energy market. Dunlap-Shohl, WA; Zhou, Y; Padture, NP; Mitzi, DB, Synthetic Approaches for Halide Perovskite Thin Films., Chemical Reviews, vol 119 no. 5 (2019), pp. 3193-3295 [10.1021/acs.chemrev.8b00318] [abs]. Mitzi, DB, Introduction: Perovskites., Chemical Reviews, vol 119 no. 5 (2019), pp. 3033-3035 [10.1021/acs.chemrev.8b00800] [abs]. Ding, J; Han, Q; Ge, QQ; Xue, DJ; Ma, JY; Zhao, BY; Chen, YX; Liu, J; Mitzi, DB; Hu, JS, Fully Air-Bladed High-Efficiency Perovskite Photovoltaics, Joule, vol 3 no. 2 (2019), pp. 402-416 [10.1016/j.joule.2018.10.025] [abs]. Zhu, LL; Huang, YE; Lin, YP; Huang, XY; Liu, HQ; Mitzi, DB; Du, KZ, Stereochemically active lead chloride enantiomers mediated by homochiral organic cation, Polyhedron (2019), pp. 445-448 [10.1016/j.poly.2018.11.026] [abs]. Khazaee, M; Sardashti, K; Chung, CC; Sun, JP; Zhou, H; Bergmann, E; Dunlap-Shohl, WA; Han, Q; Hill, IG; Jones, JL; Lupascu, DC; Mitzi, DB, Dual-source evaporation of silver bismuth iodide films for planar junction solar cells, Journal of Materials Chemistry A, vol 7 no. 5 (2019), pp. 2095-2105 [10.1039/c8ta08679f] [abs].